Simple and versatile Verticals are perfect for any location and are ideal for a variety of settings, including large windows, patio doors and conservatories. Please fill in your name and email address then continue to the next stage to get a quote. 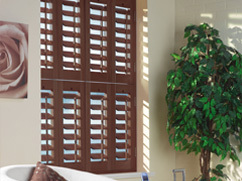 Established in 1967, Solaris Blinds Ltd have been trading for over 40 years and have built up an esteemed reputation. We supply and install all types of Blinds, from Roller Blinds to Venetian Blinds for domestic and commercial application in and around Southampton & Portsmouth. We believe in giving the best possible customer service, that is why each customer receives individual, friendly and expert advice to help them choose the right product that meets their needs. 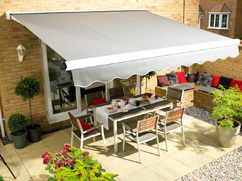 All of our products are fitted and installed by our trained professional fitters. We stock a large selection of different blinds, including Vertical Blinds, in a range of patterns and textures, so we're sure to have the perfect blinds for your home. If you would like more information in any of the products that we have to offer throughout Southampton & Portsmouth, then feel free to give us a call on 02380 772 600 or alternatively why not use our contact form to get in touch. Our large selection of Roller Blinds are a perfect solution for any window in your home or office. With our extensive range of different styles and patterns, you can be sure to find something to suit your window and room. Roller Blinds are stylish and contemporary in appearance and are an excellent choice for adding colour and style to your home. 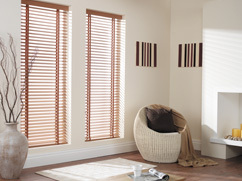 Venetian Blinds are an excellent way to add a sleek and contemporary feel to your home or office. With an array of different styles, you can choose from a lightweight aluminium effect to a rustic wood effect. With Venetian Blinds you are able to control the amount of light entering a room as well as having the ability to maximise privacy. Web Design Services and SEO from the Creare Group.